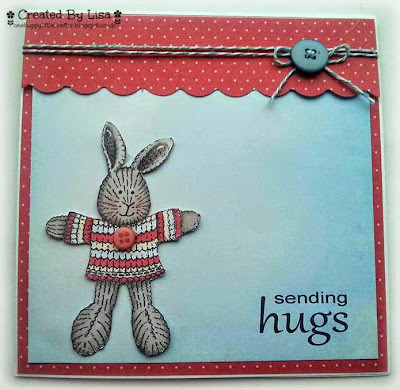 one happy little crafter: Simply Huggable! After another busy week at work I am sooo glad its Saturday, ok there is still lots to do at home but at least there are more cups of tea involved! Off to do the food shopping in a bit, and then an afternoon of battling with the stinging nettles at the bottom of my back garden, lies ahead! 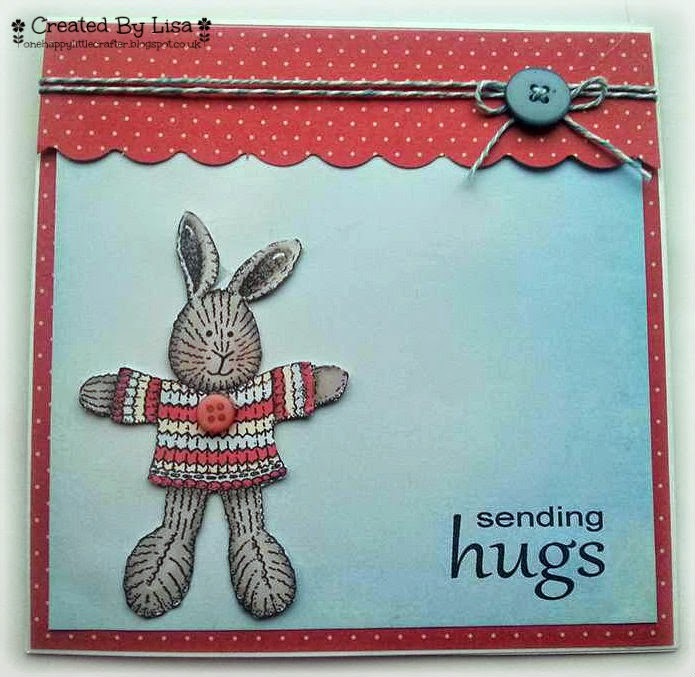 Todays card is a bit special to me as I made it for a lovely friend from work who has been promoted and subsequently moved to another store, its always nice to let your friends know you are thinking of them even if you don't see them every day. This is gorgeous Lisa, I love the sweet image and beautiful CAS design. AWWWW!!!! Adorable CAS creation! LOVE that sweet bunny! Gorgeous CAS card.Thanks for joining us at The Sugar Bowl. Wonderful choice of colours! Thank you so much for entering it in our challenge at the Sugar bowl!